Who is already dreading the family push and pull of who goes where, when, and for how long during the holidays? So many of us in the military feel the obligation to make long treks to visit loved ones over very short and hectic days off. While it’s important to see Grandma and the kids’ cousins, does it have to be EVERY Thanksgiving, Hannukah, and Christmas? One of the best parts of military service is the ability to explore and see new things near your current assignment. Celebrating Christmas on the beach or on safari instead of with extended family in Des Moines doesn’t make the holiday less important or meaningful, just different. For parents who've been recently deployed, these holiday breaks are essential to reconnect with their spouses and children. Traveling easily lends itself to a whole lot of one-on-one time. This might be in an airline terminal dealing with a delay, but it’s still quality time nonetheless! Check out these holiday destinations and see if they inspire you to pack the family’s suitcases. There are a lot of military bases out west that can take advantage of the proximity to Yosemite National Park. From firsthand knowledge, I can tell you it is glorious in the winter. 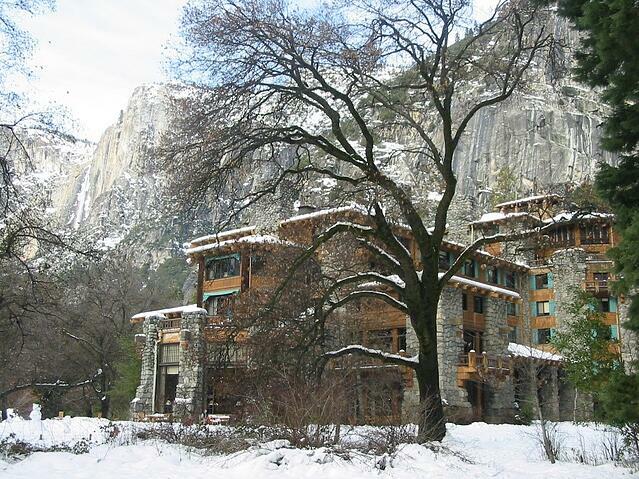 There are many ways to celebrate the season there, from camping to hiking, but a splurge trip might include a stay at the historic Ahwahnee Hotel. The Ahwahnee is decked in holiday splendor, but the real draw during this time of year is the world famous Bracebridge Dinner. Each year sold out crowds enjoy a Christmas pageant like no other. The four (!) hour show includes a seven-course banquet, and entertainment is provided by over 100 actors portraying Renaissance holiday celebrations. Music, song, and history are at their best during this spectacular performance. Admittedly, Christmas in Chicago might be difficult for some to swallow given the chilly temps there in December, but hey, it's wintertime and airfare to large cities is relatively low. Get in a festive spirit because this city does the holiday well. 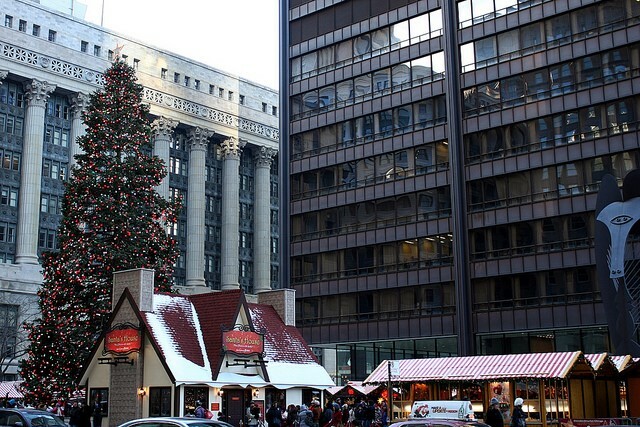 Strolling an open air Christkindlmarkt with Glühwein in hand without having to suffer through customs and TSA body checks makes Chicago’s holiday market very attractive. Shopping for traditional gifts under twinkling lights while experiencing German food and beer beats hot Ugly Sweater Parties at your second cousin Stuart’s house any day of the week. Ok, here is one for the beach lovers, since so many of us hear the ocean calling. 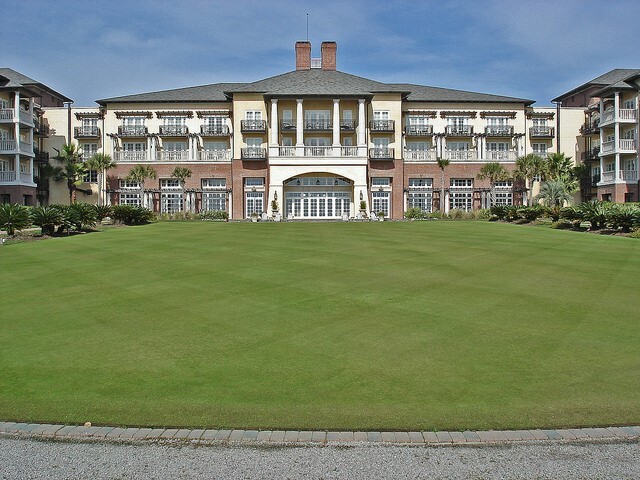 There are multiple ways to enjoy this stunning island near Charleston, South Carolina, but spending Christmas by the sea at the island’s Sanctuary Hotel is special treat. Over the years, the hotel has racked up an impressive lineup of awards for everything from its restaurants to the spa. Holiday activities sprinkled throughout the month include cookie decorating, s’mores by the campfire, and a beach one-mile glow run. You can indulge in a Christmas Morning breakfast or Grand Buffet for lunch or dinner. Best of all, the hotel hosts Kamp Kiawah Holiday Kamp for kids aged 3 to 11 from December 28-30. Pack sunscreen for serious beach fun. Think hard about taking advantage of a new PCS location or close proximity to a new sightseeing adventure. Visit the extended family during winter or spring break. I promise Grandma will still love you in January or February! You're in luck! MilitaryByOwner has loads of traveling advice and suggestions, so get packing!